There is no doubt that people with already vast experience in Linux Jobs have many offers in their hand. And, it’s only the fresher, who has to strive a little hard in the field. However, now with countless jobs emerging daily in the field of Linux, the novice can also enter easily into the job market with the right guidance. This job profile mainly hires fresher, who have good knowledge and are certified under the LPIC-1 program. An individual can get years of experience by working in this profile and later can apply for system admin job. Besides this, as a raw Linux technician, one can learn to regulate users, workstation, and desktops. Moreover, there are other things too, which can enhance one’s knowledge. For instance, A person learns to create partitioning in desks, install and resolve issues of the operating system, basic scripting and troubleshoot network. Companies are opting for Linux in the desktop arena due to the more security features in this operating system. 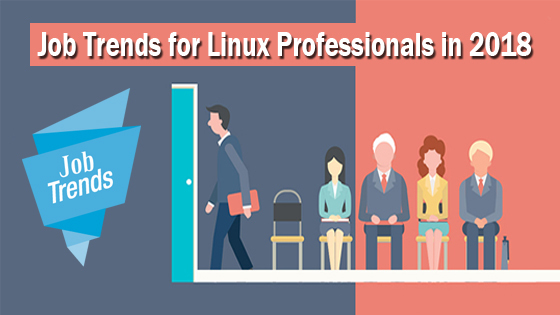 Therefore, with this changing trend, now companies are hiring more of those skilled developers who are aware of Linux working platform. With the growing access of Linux operating system in large corporate companies, the demand for the engineers, who can assist other employees with this technological advancement, has skyrocketed. Therefore, the skilled technicians or the ones with the good knowledge of Linux OS can look up the working in this field. To add on, the work of support engineer is to assist in the smooth functioning of Linux and its applications within the organization. The people, who have more interest in technical writing or, teaching the pupils for the above job profiles, can look for these job options too. Besides this, a lot of money can be earned in these fields, if an individual has the Linux certification.